The innovative Russell Hobbs 21310 2-Slice Toaster features a stylish glass side panel, so you can see your toast browning to perfection. The 21310's black glass design brings a modern touch to any kitchen. Take the guesswork out of making toast and keep an eye on slices as they brown. 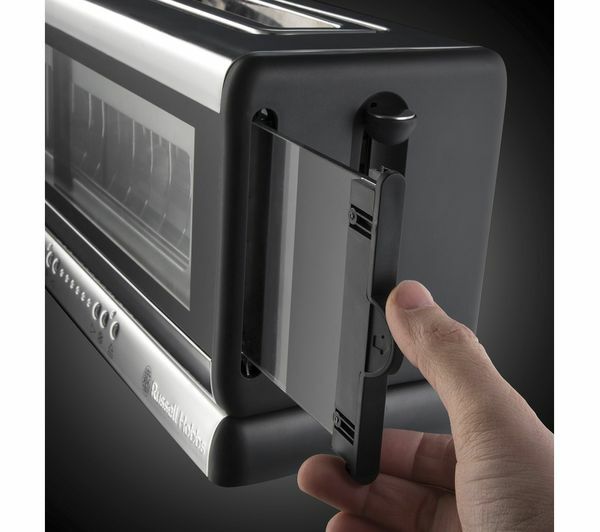 The inner glass panel is also removable, making the toaster easy to clean as well as good looking. With the 21310 you can toast bread straight from the freezer thanks to its convenient defrost function. Reheat is also great when you've forgotten about a piece of toast. Simply hit the button and give it a quick blast of heat. 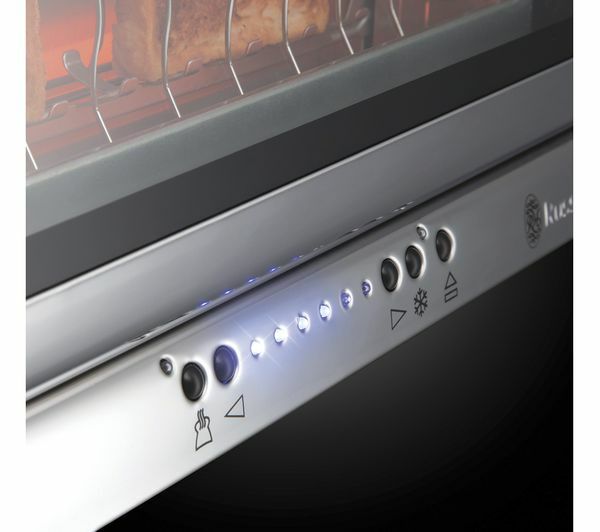 Electronic browning control with LED countdown lets you set the exact browning level, so you can enjoy toast just the way you like it. Choose from six different settings and watch as the LED lights countdown to the end of the cooking process. 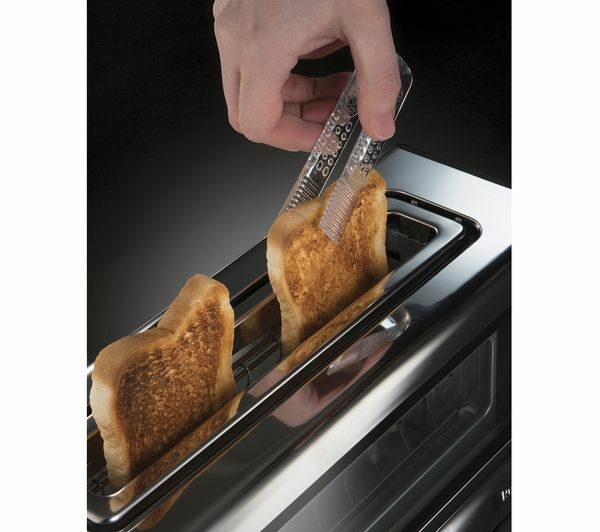 When you're toast is ready, onboard tongs let you quickly remove the toast while it's still hot without burning your fingers. The removable crumb tray also keeps your worktop clean by catching all the leftover crumbs. 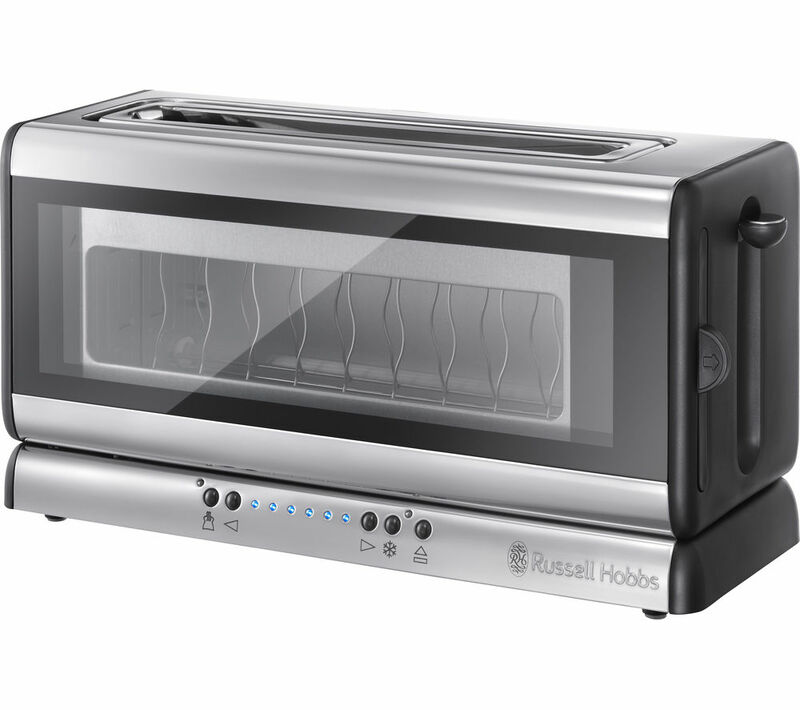 Don't just toast, make breakfast in style with the Russell Hobbs 21310 2-Slice Toaster in black glass. Just love it. It looks so expensive and neat. Love the glass look ,hopefully it will stay looking good . When you push the side lever down to start the toasting, it requires 3 or 4 aggressive push downs before the lever stays down in order to start the toasting. It's very irritating. Toaster handle Doesn’t go down easily and takes around 3 goes to make it stay down. Feels flimsy when you are doing it as if it will break any minute.